Scotmid shares the principles of Fairtrade – equality, democracy, solidarity, social responsibility and caring for others. As a co-operative, Scotmid has traded ethically and fairly for more than 150 years, so when the Fairtrade mark was introduced in 1994, it’s no surprise that we were among the first to champion the movement. In conjunction with The Co-operative, we are proud to be the first Scottish retailer to stock Fairtrade products. giving Fairtrade talks to community groups. 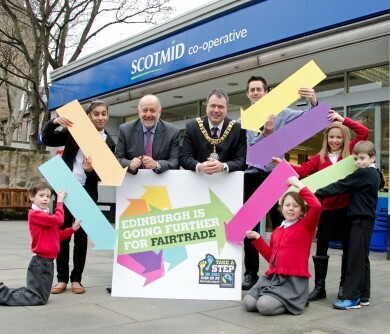 Scotmid is also the main sponsor of the Edinburgh Fair Trade Steering Group’s events and the Lord Provost’s Fairtrade Awards each year. There are lots of ways in which to get involved, from asking for fair trade options in shops, cafes and restaurants, to spreading the fair trade message amongst your family, friends and colleagues. Taking simple steps to support Fairtrade can add up to one big step towards a fairer world. We’re proud to stock Fairtrade products in all our Scotmid food stores. From Fairtrade chocolate to roses, coffee to tea, there’s so many ways to support Fairtrade when you shop at Scotmid. 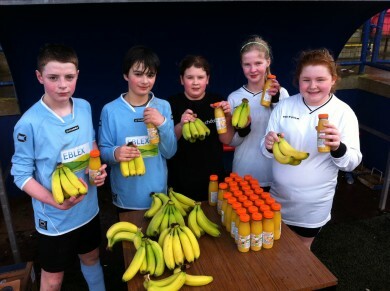 Did you know we only stock Fairtrade bananas? And The Co-operative own brand wines are all Fairtrade. Fairtrade Fortnight is the annual celebration of all things Fairtrade and is a great way to get involved and help spread the word. 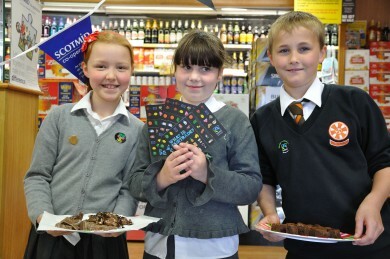 Scotmid Co-operative supports many community events during Fairtrade Fortnight, from wine tastings to school Fairtrade tuckshops. Find out how we're supporting Fairtrade Fortnight and get involved!